The Missouri Sports Hall of Fame will soon induct former St. Louis Cardinals speedster Vince Coleman and pair of past Kansas City standouts in Royals outfielder Amos Otis and Chiefs quarterback Bill Kenney, plus 13 other individuals, a college baseball program and a high school baseball program and its late coach. Jack Henry & Associates will be honored with the Founder’s Award, and Leon Combs will be honored with the President’s Award. The Enshrinement is set for Sunday, January 29. Activities begin with a reception at 11 a.m. on Jan. 29 at the Missouri Sports Hall of Fame. A second reception is at 4 p.m. at the University Plaza Convention Center in Springfield, with the dinner and Enshrinement to follow at 5 p.m. 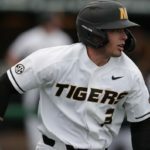 The Hall of Fame will induct: the Voice of the Missouri Tigers, Mike Kelly, Houston Astros owner Jim Crane (University of Central Missouri baseball), former Mizzou football coach Warren Powers, Missouri State volleyball coach Melissa Stokes, Mizzou head athletic trainer Rex Sharp, B.A.S.S. champion Rick Clunn (Ava), motocross champion Jeff Emig (Kansas City), Missouri State basketball standout Kelby Stuckey, the Voice of the Missouri State Bears, Art Hains, NFL referee George Hayward (St. Joseph), track coach Rod Staggs (St. Louis Berkeley), Penney High School football coach David Fairchild and Glendale High School soccer coach Jeff Rogers. The Hall of Fame also will induct the New Bloomfield High School Baseball Program and its coach, the late Rod Haley, and the University of Central Missouri Mules Baseball Program. A sponsorship table of 10 is $1,500 and includes an autographed print of the Class of 2017, sponsor recognition in the printed program and at the table. An individual ticket is $150. For tickets, call 417-889-3100. 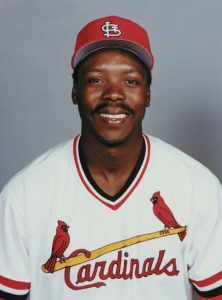 Vince Coleman, a big-leaguer from 1985 to 1997, owns the sixth-most steals in baseball history (752), the sixth-most in National League history (660) and second-most in St. Louis Cardinals history (549). He led the NL in stolen bases for six consecutive seasons while with St. Louis (1985 to 1990) and is one of only four big-leaguers ever to steal 100 bases in a season. The first three years of that stretch featured seasons of 105, 107 and 109 steals – with his 1985 season leading to the NL Rookie of the Year award. 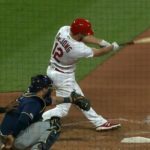 The all-time steals list features Rickey Henderson (1,406), the Cardinals’ Lou Brock (938), Billy Hamilton (912), Ty Cobb (892), Tim Raines (808) and Coleman. Overall, Coleman played in 1,371 games. He finished with a .264 batting average and 1,425 hits, which included 176 doubles, 89 triples and 28 home runs. He also finished with 346 RBI. Between 1991 and 1997, he played for the New York Mets, Kansas City Royals (1994, part of 1995), Seattle Mariners, Cincinnati Reds and Detroit Tigers. 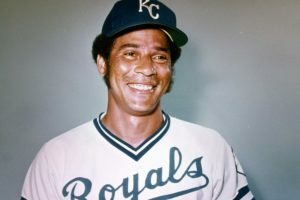 Chants of “A-O, A-O” were the norm at Kauffman Stadium through most of the 1970s and early 1980s as Amos Otis starred for the Kansas City Royals. Acquired in a December 1969 trade from the New York Mets, Otis played 14 of his 17 big-league seasons for the Royals and led the franchise to American League West Division titles in 1976 and 1977, and its first AL pennant in 1980. He was a five-time AL All-Star and three-time Gold Glove winner, playing mostly center field. In all-time Royals history, he ranks in the top four in 13 offensive categories, plus has the franchise’s third-most games played (1,891) and its 20th-best batting average (.280). Offensively, Otis is second all-time in Royals history in runs scored (1,074), stolen bases (340), walks (739) and total bases (3,051). He also is third all-time in triples (65), at-bats (7,050), home runs (193), hits (1,977), RBI (992), plate appearances (7,969). Otis led the AL in 1970 and 1976 in doubles (36, 40) and led the AL in stolen bases (52) in 1971. Otis, who played his first two big-league seasons with the New York Mets, ended his career in 1984 with the Pittsburgh Pirates. Former Kansas City Chiefs player Bill Kenney (9) drops back for a pass during a game. 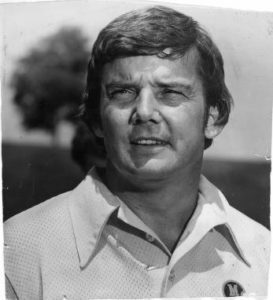 Bill Kenney quarterbacked the Kansas City Chiefs from 1980 to 1988 and led the franchise to the 1986 playoffs, the Chiefs finished 10-6. It was part of quite a career for Kenney, a 1983 Pro Bowl selection whose name still appears 26 times in the Chiefs’ all-time quarterback statistical rankings. He ranks third career-wise in passing yards (17,277), games started (77), passes attempted (2,430), passes completed (1,330) and touchdown passes (105). Additionally, Kenney’s 603 pass attempts in 1983 are still the most ever by a Chiefs quarterback in a single season. He also ranks in the top three in single-season passes completed (346) and passing yards (4,348), which remained the record until Trent Green broke it in 2004. Kenney played college football at Arizona State and Northern Colorado, and then was a 12th-round draft pick of the Miami Dolphins in 1978 before being cut from the roster. Since his playing days, Kenney was a Missouri State Senator in the mid 1990s and early 2000s. He is now the Missouri Public Service Commissioner and owns real estate development, brokerage and construction companies. Mike Kelly is the longtime Voice of the Missouri Tigers. He has broadcast more than 1,000 Mizzou games and has been the winner of the Missouri Sportscaster of the Year in three of the past four years. He was the play-by-play voice of Mizzou basketball prior to the 1991-1992 season and added the play-by-play role for Missouri football prior to the 1994 season. Since then, he has broadcast every Mizzou football game, a string of 283 consecutive broadcasts. Kelly also hosts “Tiger Talk,” the weekly talk show for Mizzou’s football and basketball coaches since 1989. In April 2014, Kelly rejoined the sports team at KMOX Radio and hosts “Sports Open Line” and “Sports On a Sunday Morning.” He has called games for the St Louis Cardinals, the Kansas City Chiefs as well as in the National Football League and NCAA for Westwood One. A Dubo, Ill., native, Kelly’s full-time role is with H-M Risk in Clayton, where he is Senior Vice President and Equity Partner. Jim Crane is a St. Louis native, University of Central Missouri graduate and, since 2011, the owner of the Houston Astros. At Central Missouri from 1973 to 1976, Crane was 21-8 with a 2.42 earned run average and ranks first in career complete games (23), shutouts (7) and third in career strikeouts (215). He still holds the program’s single-game strikeout record (18) and, in 1997, was inducted into the Central Missouri Athletic Hall of Fame. Additionally, Crane was the primary underwriter of a $1.2 million renovation in 1998 of the Mules’ baseball field, now named the James R. Crane/Robert N. Tompkins Field. In 2015, he upgraded the field with a new synthetic turf playing surface. Crane also funds annual enrichment scholarships to honor students at UCM. At the annual NCAA convention in San Diego in January 2014, he served as a keynote speaker and was also honored as a member of the NCAA 40th Anniversary Tribute Team for Division II athletes. With the Astros, Crane has led a revival of Astros baseball, as the organization has made a successful transition into the American League. The Astros rebuilt their farm system in the following years, and it led to the big-league club enjoying 86- and 84-win seasons in 2015 and 2016, respectively, including winning the 2015 AL West Wild Card Game. Under Crane’s leadership, the Astros have re-energized the Astros Foundation, raising millions to support the people and community of Houston – including the establishment of the Community Leaders Program in Houston. His Community Leaders program provides newly renovated baseball and softball fields, plus equipment and uniforms, to engage and develop youth through sports. The Astros have also supported several of Major League Baseball’s diversity initiatives, including the 2015 Civil Rights Game. The Civil Rights Game included ancillary activities, a series of events developed by MLB to pay tribute to those who fought for equal rights for all Americans both on and off the field. Warren Powers played at Kansas City’s Lillis High School for coach Joe Minter before graduating in 1958. He then was a three-year letterman for the Nebraska Cornhuskers from 1960 to 1962, including their 9-2 team in his senior year when Nebraska beat Miami in the Gotham Bowl. Powers went on to play six seasons (1963 to 1968) in the National Football League as a safety with the Oakland Raiders, including their Super Bowl team that lost to the Green Bay Packers in January 1968. Powers then became a college football coach who led the Washington State Cougars (1977) and Missouri Tigers (1978-1984). 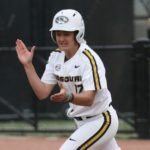 At Mizzou, Powers was 46-33-3. His first victory at Mizzou was a 3-0 triumph against Notre Dame, who at that point hadn’t been shut out since 1960. The victory kick-started a great run for the Tigers and Powers, whose teams advanced to five bowl games, beat Kansas four times, beat Oklahoma twice and beat Nebraska in 1978, the Tigers’ last win against the Huskers until 2003. The 1978 team won the Liberty Bowl against LSU, 20-15, and finished 15th in the Associated Press Top 25 poll. The 1979 team finished 20th in the UPI poll after beating South Carolina in the Hall of Fame Bowl. The 1980 season ended in a 28-25 loss to Purdue in the Liberty Bowl, while the 1981 team finished 19th in the AP poll after beating Southern Mississippi in the Tangerine Bowl. Powers’ final bowl team was 1983, when the Tigers lost to Brigham Young in the Holiday Bowl. Missouri State University volleyball coach Melissa Stokes is now her 21st season leading the Bears and recently led the Bears to their ninth NCAA Tournament berth in the past 14 seasons. Overall, Stokes is 464-221 (.677 winning percentage). Along the way, Stokes became the Missouri Valley Conference’s all-time winningest coach, and currently has 271 league victories. She set the record in September 2011 in a week when she won her 200th MVC match and her 350th overall victory. Stokes added her 400th career victory in 2014, becoming the 46th active head coach to reach that milestone. She also joined only three other active coaches to have 400 wins in less than 20 full seasons. Since the year 2000, Stokes’ program is 393-165 (.704) overall and 233-75 (.757) in the conference. She has taken Missouri State to nine of its 12 NCAA Tournaments (2003, 2005, 2006, 2007, 2008, 2010, 2011, 2015, 2016). The Bears also have finished at least second in either the MVC regular season or tournament in 12 of the past 16 seasons, winning the regular-season title in 2016. Missouri State also has won at least 20 matches in 17 of the past 18 seasons. The Bears are two-time Valley regular-season and two-time Valley tournament champions under Stokes, who also is a two-time Valley Coach of the Year. She has guided six All-Americans, 74 All-Valley selections and 52 players of the week, plus the program has produced three Academic All-Americans and 54 All-MVC scholar athletes. Since taking over at Missouri State, Stokes also served on numerous committees with the American Volleyball Coaches Association and has been a voter on the AVCA Top 25 since 2005. Rex Sharp became the head athletic trainer for the University of Missouri athletics in 1996. He now directs the Dr. Glenn L. McElroy M.D. Sports Medicine Center, Mizzou’s primary treatment and rehabilitation facility, and oversees a staff of 13 assistant athletic trainers, four certified graduate assistant athletic trainers and almost 80 undergraduate student athletic training interns. He was given the title of Associate Athletic Director/Sports Medicine in 2011. Sharp also serves as an adjunct faculty and teachers two courses in the Department of Nutritional Sciences. He served an eight-year tenure as one of 10 collegiate athletic trainers in the nation on the prestigious College and University Athletic Trainers’ Committee, and was Chairman of the Big 12 Conference Medical Aspects of Sport Committee. Sharp and his staff were recognized (2000 and 2011) as the Big 12 Conference Athletic Training Staff of the Year. Through his dedication, Mizzou in 2012 approved a new undergraduate athletic training education curriculum program. A native of New Albany, Ind., Sharp spent 11 years as head athletic trainer at Ball State University, primarily overseeing the football program. He taught high school biology in New Albany (1979-1981), was a graduate assistant trainer at Michigan Tech (1981-1983) and was the first head athletic trainer at Northeast Missouri State, now Truman State, from 1983-1985. Ava, Missouri’s Rick Clunn has been a longtime winner in B.A.S.S., short for Bass Anglers Sportsman Society, and is tied with Kevin VanDam for most wins (four) in the Bassmaster Classic. He has competed in 427 tournaments across the country, with 32 Classic appearances and four Classic wins. Some 281 times he has finished in the money, including 121 Top 10 finishes and 187 Top 20 finishes. That includes 15 championships and 14 second-place finishes. All told, he has winnings of more than $3 million, and his catches have totaled 11,918 pounds and one ounce. Clunn was the 1988 B.A.S.S. Angler of the Year and qualified 28 consecutive years for the Bassmasters Classic World Championship. He was the first angler to win $1 million in competitive bass fishing and is the all-tie leading money winner on the FLW Tour. In 2005, he was voted the Greatest Bass Angler of All-Time in an ESPN fan poll. In March 2016, he became the oldest fisherman, at age 69, to win a B.A.S.S. tournament in taking the Elite Series on the St. Johns River in Florida. Clunn is an inductee of the Bass Fishing Hall of Fame and the Freshwater Fishing Hall of Fame. Kansas City native Jeff Emig was one of the top AMA Motocross and Supercross riders of the 1990s. In all, he won four AMA national championships, an FIM World Supercross title and was a six-time member of the U.S. Motocross des Nations team. During his 11-year career, Emig earned 37 AMA National wins. When he retired, he was fourth on the all-time AMA 250 National Motocross wins list, sixth on the all-time AMA 125 Motocross list and tied for seventh on the combined AMA Motocross/Supercross wins list. In 2004, he was inducted into the AMA Motorcycle Hall of Fame and, in 2013, named No. 11 among the Top 30 Motocross racers of all time by Race X magazine. Jeff started his motorcycle career in the Midwest and his family traveled the amateur circuit that included many races in the state of Missouri. Emig turned professional in 1989, but 1992 was his breakout season, as Emig earned his first AMA national Championship in the 125cc class. Starting in 1996, Jeff found his form at the top level of the sport in the 250cc class, winning two AMA 250cc Motocross tiles and the coveted Monster Energy Supercross title in 1997. Emig was a six-time selection to the U.S. Motocross des Nations team from 1992-1997. Among other career highlights he was named the 1997 AMA Pro Athlete of the Year. Since he retired from racing professionally, he has remained in the spotlight by serving as the color analyst on multiple television broadcasts, including the Emmy-winning Monster Energy Supercross on Fox Sports. Jeff also spends time as a brand ambassador for Husqvarna Motorcycles, Shift MX, Fox Racing and ODI Grips. Kelby Stuckey owns the distinction of having played in more winning games (87) than any other player in Missouri State men’s basketball history. A native of St. Louis, Stuckey started all 93 Bears games over his last three seasons in a career which ran from 1985 to 1989. He played on the Bears’ first four Division I postseason teams, competing as a reserve for the 1985-86 NIT team and then starting on the NCAA tournament teams in 1987, 1988 and 1989 for coach Charlie Spoonhour. The Bears won 24 games in Stuckey’s first season and upset Pittsburgh and Marquette in the NIT before losing by a point at Florida in the tournament quarterfinals. Stuckey was a sophomore starter on the winningest Missouri State team ever as the Bears won the first of four consecutive league titles, added the conference tournament crown and upset Clemson in the Bears’ first-ever NCAA trip before losing to Kansas in the second round. Then-Southwest Missouri State repeated its league crown the next year, advancing to an NCAA tournament date with UNLV, and the 1989 Bears won the regular season and Mid-Continent tournament titles and lost to eventual national runner-up Seton Hall in the NCAA first round. Stuckey finished his career with 1,188 points and 661 rebounds and still ranks 15th in scoring, 10th in rebounding. He also is fourth in free throws made (378) and fourth in free throws attempted (550). Stuckey won the Guy Thompson Award in 1989 and shared the SMS Coors Player of the Year Award as a senior. He was on the Mid-Continent all-league first team as a junior and senior and earned All-America honorable mention from Basketball Weekly as a senior. Stuckey went on to play pro basketball for 14 seasons, competing on teams in Canada, Argentina, Japan, Germany, France, Belgium, Spain and the Philippines. 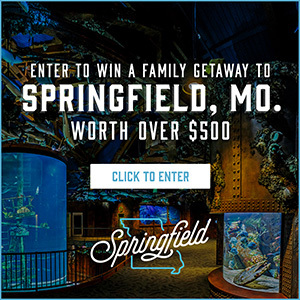 Stuckey is back in the Ozarks, working as an attorney for the City of Springfield. A St. Joseph native, George Hayward in January 2016 retired after a 25-year career as a referee in the National Football League. He officiated 425 games. Among them were 19 playoff games, including the January 2007 Super Bowl between Peyton Manning’s Indianapolis Colts and the Chicago Bears, four conference championships and four wild card games. Hayward graduated from St. Joseph’s Central High School in 1970, after earning an all-city and all-district honors at offensive guard. He went on to play defensive end and linebacker for Missouri Western when the college first fielded a football team. After graduating in 1974, Hayward worked his way up the officiating totem pole through the Bantam League, Pop Warner circuit and then junior college football in Kansas. He officiated in the Heart of America Athletic Conference and the MidAmerica Intercollegiate Athletic Association in the 1970s and early 1980s before working one season in the Missouri Valley Conference (I-AA). Hayward then officiated from 1984 to 1991 in the Big Eight Conference, where he worked two Oklahoma-Nebraska games, two Oklahoma-Texas games as well as the 1986 Citrus Bowl (Auburn vs. Southern Cal) and 1988 Sun Bowl (Army vs. Alabama). Hayward also was the longtime president of the family business, Lake Road Warehouse, before retiring in 2011. Art Hains has been the longtime voice of the Missouri State Bears. He began his radio career while in high school at KMMO in Marshall, and then served as student assistant in the sports information office at Southern Methodist University in Dallas during his college years. He was hired as sports director at KGBX Radio in Springfield in 1977 and began calling Missouri State games with the late Vern Hawkins. From 1981 to 1985, Hains was on the sports staff at KRLD Radio in Dallas and was studio host for Dallas Cowboys broadcasts and the Southwest Conference Football Network. He also worked on SMU football and basketball broadcasts, while covering all professional and college sports in the Dallas area. In 1985, he returned to Springfield and has been the Voice of the Bears ever since, announcing more than 2,200 Missouri State events. Highlights included the 1999 men’s basketball run to the Sweet 16, the 2011 Missouri Valley Conference basketball championship season, football playoffs in 1989 and 1990 and nine NCAA baseball regional appearances as well as the 2003 College World Series. Since 1995, Hains has hosted the daily “Sportstalk” radio show, first on KWTO-AM and, since 2001, on KWTO-FM. In 2008, he added studio host duties for the Kansas City Chiefs Radio Network. Hains in 2003 was inducted into the Springfield Area Sports Hall of Fame. Rod Staggs is a Kirksville native and 1966 Truman State University graduate who made his mark as a coach in track and field. Overall, he has led programs to 19 high school state championships, guided 58 state champion relay teams, 143 individual state champions and 28 All-Americans. He was the head coach at St. Louis Berkeley High School for 32 seasons, with the program winning 16 state championships. He won a pair of NAIA national track and field championships in two seasons at Lindenwood University, where he guided two other national runner-up teams, 64 All-Americans, 25 national champions and two record-setters in the 4×100 men’s relay and the women’s 100 meter high hurdles. He then coached in Loveland, Colo., winning two state championships at Loveland High School and one at Mountain View High School. He went on to serve as a coach for the USA national team, which competed in the World and Pan-American championships in Australia, Argentina, Poland, the United Kingdom, Qatar and Mexico. In his career, Staggs was the 1996 National Coach of the Year by the National High School Athletic Coaches Association, the 2003 National Coach of the Year by the National High School Federation, plus was the Missouri High School Track Coach of the Year 19 times. He also is a 1994 inductee of the Missouri Track and Cross Country Coaches Association Hall of Fame, the National High School Athletic Coaches Association Hall of Fame and the Truman State University Athletic Hall of Fame. Some of his famous athletes include Olympians Justin Gatlin, David Oliver, Terrence Trammell, Trell Kimmons, Ryan Bailey, Allyson Felix, Wallace Spearmon and Mike Rodgers, who was a five-time state champion at Berkeley and 11-time national champion at Lindenwood. At the 2012 London Olympics, he had coached 35 of the track and field athletes at some point in their careers. He also has been the head men’s coach of the 2001 Pan-American Junior Championships, the 2001 UK Junior Tour and was an assistant men’s coach in the 2008 World Junior Championships, 2010 World Indoor Championships, plus 2011 and 2015 Pan-American Games. David Fairchild spent 39 years in public education, including 31 as a head football coach as he compiled a 240-104 record. That featured a 231-84 record at Penney High School, including three state championships (2009, 2010, 2012), six state semifinal appearances, nine quarterfinal berths and 12 district championships. The first state title was in Class 1, while the repeat state championship was in Class 2 as Penney was the only team in Missouri history to turn the trick in back-to-back seasons. Fairchild was named Associated Press Coach of the Year for Missouri in 2009 and 2010, and was the St. Joseph News Press Coach of the Year in 2010. He was inducted into the Missouri Football Coaches Association Hall of Fame in 1999. Along the way, Fairchild has been an active participant in the Missouri Lions All-Star Game. He was an assistant coach for the West team in 1988 and head coach of the Blue team in 2010. Fairchild arrived in Hamilton in 1981 and served the district as a teacher, coach, athletic director, middle school principal and superintendent of schools. He was out of coaching for six seasons while serving as superintendent. Fairchild graduated from Chillicothe High School in 1972, played baseball at Trenton Junior College and completed his degree from Northwest Missouri State in 1976. He was an assistant coach at West Nodaway High School and a head coach at South Harrison High School from 1978 to 1981. His dad, Bob, coached at Chillicothe for 32 years, winning 287 games, and was inducted into the Missouri Sports Hall of Fame in 2002. Jeff Rogers has coached the Glendale Falcons boys soccer team since 1990 and the Glendale girls soccer program since its beginning in 1996. Overall, he is 826-304-66, which ranks fourth overall in the state. In boys soccer, his record is 474-164-32, which is 10th best in state history, while his record in girls soccer (352-140-34) is third-best in state history. Along the way, Rogers’ boys teams have two state runner-up finishes, three fourth-place finishes, five state quarterfinal championships, 12 state sectional championships, 20 district championships and 13 conference championships. The boys recently won their fourth consecutive district title. Meanwhile, Rogers has led a Glendale girls program that has had a ton of success, too. The Lady Falcons have placed third in the state in 2011 and fourth twice (2009, 2012). They also have six state sectional championships, eight district championships and nine conference championships. Under his leadership, Glendale has had 67 All-State selections, including 43 on the boys side. Rogers himself was the Regional Coach of the Year in 2008 and a National Coach of the Year finalist. Additionally, six players have earned All-Midwest honors from the National Soccer Coaches Association of America. Rogers came to the Ozarks after graduating from Liberty University, where he played lacrosse. He is originally from south Florida, having graduated in 1983 from Highland Christian Academy in Pompano Beach, Fla. The Hall of Fame is inducting New Bloomfield High School’s Baseball Program and its longtime coach, the late Rod Haley. Haley built New Bloomfield into a Missouri dynasty from the mid-1980s to mid-1990s. The program won six Class 1 state championships in that stretch (1986, 1989, 1991, 1992, 1993, 1996) and also placed third in 1985, 1987 and tied for third in 1995. The team was fourth in 1988. The program won its seventh state title and first in Class 2 in 2011 under then-coach Brandon Talbot, and was the Class 2 state runner-up in 2015 for current coach Justin Forsythe. Haley, who passed away in March 2015, was 409-105 at New Bloomfield, winning 80 percent of his games, fourth-best in state history. He also is a 1998 inductee of the Missouri State High School Baseball Coaches Hall of Fame. The University of Central Missouri Mules Baseball Program has been one of the elite programs in the Midwest and nationally for decades. The Mules won the 1994 and 2003 NCAA Division II College World Series and have a combined 1,832-723-9 record in 61 seasons. They also have won 17 regional championships and 25 Mid-America Intercollegiate Athletics Association titles. They have produced 23 first team All-Americans, as well as five national Players of the Year. Among notable coaches have been Bob Tompkins, Dave Van Horn and Brad Hill, with notable players being Houston Astros owner Jim Crane and Nick Webber. Tompkins was 258-164-1 from 1965 to 1980. Crane pitched for the Mules in the mid-1970s. Van Horn in 1994 and Hill in 2003 led the Mules to NCAA Division II national titles, while Webber represents 74 Mules who have signed pro contracts and 34 who were drafted directly by Major League Baseball organizations. Webber also is the Mules’ highest-ever draft pick, in the second round and 78th overall in 2005, by the St. Louis Cardinals. Meanwhile, the 1994 Mules finished 51-11 in the only season coached by Van Horn, who went on to Nebraska and now is at Arkansas. Those Mules won the MIAA Tournament and the regional after coming through the consolation bracket, then rallied from 6-2 in the fifth inning of the national championship game to beat seven-time national champion Florida Southern, 14-9. Their next coach, Hill, continued to raise the Mules’ national profile. Hill was 418-91 between 1995 and 2003, guiding the program to the NCAA Tournament in all nine of his seasons – including seven trips to the College World Series. The 2003 team won it all and finished 51-7 as the Mules became the first team in D-II history to win 50 games in four consecutive seasons. That team, which swept the MIAA, regional and national tournaments, finished fourth in the nation in batting, fifth in scoring, sixth in fielding and seventh in team earned run average. The 2016 John Q. Hammons Founder’s Award will be presented to Jack Henry & Associates. The Founder’s Award is given to a business that plays a significant role in the advancement of sports in the state of Missouri and the Missouri Sports Hall of Fame. The Fortune 400 company was founded in 1976 and has become the elite in financial services, with more than 10,500 customers and 6,000 associates. JHA provides more than 300 products and services that enable its customers to process financial transactions, automate their businesses and succeed in an increasingly competitive marketplace. JHA has been a longtime sponsor of the Missouri Sports Hall of Fame as well as the Price Cutter Charity Championship presented by Dr Pepper, a PGA Web.com Tour tournament that has gifted more than $13.7 million to Ozarks children’s charities. Leon Combs, a Missouri Sports Hall of Fame Board of Trustees member since 2000 and its Chairman since 2009, will receive the President’s Award, given to someone who promotes sports in the state and greatly assists the Missouri Sports Hall of Fame. Combs has gone above and beyond the call of duty and has been a great resource for longtime Hall of Fame President and Executive Director Jerald Andrews. 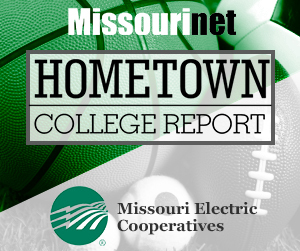 Combs supports every initiative of the Missouri Sports Hall of Fame, particularly its efforts to induct coaches and players from high schools and colleges. Combs is a 1953 graduate of Bradleyville High School and attended one year at then-Southwest Missouri State before serving in the U.S. Marine Corps (1954-1957). He finished his education by graduating in 1960 from the University of Missouri’s School of Journalism. Combs worked 25 years for Jostens, a yearbook publishing firm, until 1985. He later owned Sanford-Brown College, the largest proprietary school in the St. Louis area, and founded the AMTEC Truck Driving Schools, located in Missouri, Illinois and Ohio. 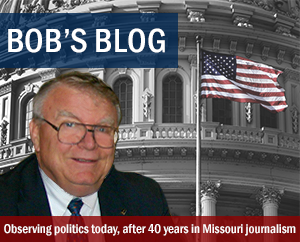 Combs, who retired in 1994, has served on bank boards and numerous charitable boards in the Ozarks. He has been Chairman of Skaggs Hospital, the Skaggs Hospital Foundation, the Boys & Girls Club of the Ozarks, White River Valley Historical Society and served on boards for the State Historical Society of Missouri, the Writers Hall of Fame, Ozarks Technical Community College Foundation and the University of Missouri Press. Combs also is Chairman of the Bradleyville Foundation of Learning, which gifts $1,000 each year to each of its graduates while they are still in college, and gifts a $500 Christmas bonus to each teacher, bus driver, cook and janitor in the district. Combs, who in 1999 authored “Bradleyville Basketball: The Hicks from the Sticks,” owns Beaver Creek Elk & Cattle Ranch.